The move shows Cox’s intent to become a major player in the exploding market for IoT connections. Another large player in the communications space just threw their collective hat into the IoT ring. 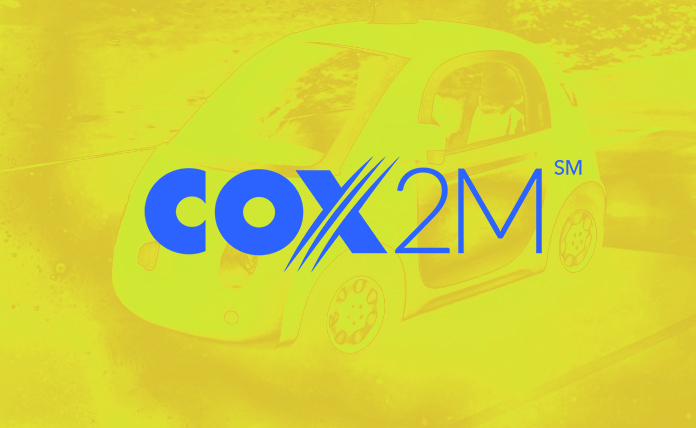 Cox Communications announced the formation of Cox2M, the company’s new business line focused on connected asset services to power smart businesses, cities, and more. Cox2M will provide complete end-to-end asset tracking and monitoring solutions for many verticals. One such solution has already been adopted by Manheim Auction Lots (the world’s largest used vehicle marketplace) and connects more than 500,000 vehicles in the U.S. and Canada. The application used by Manheim represents the largest LPWA (Low Power Wide Area) commercial IoT deployment in North America to date. Cox2M’s solutions are meant to enable monitoring and tracking of commercial assets, enabling customers to connect everything from inventory, equipment, and infrastructure to cars and power lines. This allows customers to then easily monitor the location, condition, and status of their assets and receive real-time intelligence and notifications of any issues, facilitating frictionless interactions among people and things. The move shows Cox’s intent to become a major player in the exploding market for IoT connections and compete with the likes of Comcast, Verizon, AT&T, and others. In addition to the Manheim deployment, Cox2M is actively marketing connected asset solutions across a number of industries including fleet management, smart cities, energy, and agriculture.